The HTop Amaika is close to the beach and a few minutes walk from the town with its many restaurants and bars. Guest rooms are equipped with bathroom, hair dryer, balcony, air conditioning/heating, satellite tv, telephone, minibar and safe. Restaurant, poolside bar and bar/lounge. Swimming pool, sauna and fitness room. Barcelona (62km) and Girona (45km). 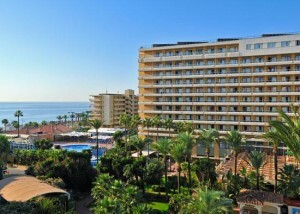 The newly refurbished Sol Principe Hotel is ideally located alongside Playa de Playamar Beach in Torremolinos, comprising of hotel in three connecting blocks as well as the Sol Principito Apartments. Torremolinos centre is two kilometres from the hotel and it is eight kilometres to the airport and 15 kilometres to Malaga. The hotel offers comfortable accommodation with spacious and well-appointed guest rooms, all of which feature a selection of modern amenities including air conditioning (available from 1st July to 30th September), a mini fridge, hairdryer, telephone and satellite TV, as well as side sea views or pool views from the terrace. Perfect for families, there is a Flintstones theme at the complex where children can have fun in the Flintstones theme park and dine in the Brontoburguer restaurant. Guests can take a dip in the hotel’s outdoor lagoon-styled swimming pool set in wonderful gardens, with free sun beds and a pool bar open from June to September. For the younger guests the hotel offers Bam Bam’s mini club and playground. There are also terraces with chill-out music during the day and a magnificent night illumination, as well as a heated indoor pool in winter season and two children’s pools. A daily entertainment programme is also provided at the complex, offering a mixture of professional night shows. Dining options include the restaurant with magnificent sea views and complete hot and cold buffet service for breakfast, lunch and dinner, while the lively Bar El Turco sports bar is the perfect place to enjoy a drink, with satellite TV. The Sol Principe hotel is the ideal choice for families and those seeking a fun-packed break in Torremolinos. The hotel is split into a number of different blocks of which guests will be allocated on arrival. Certain room types can be allocated in the ex Sol Principito apartment block. 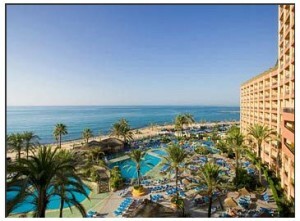 Hotel Sol Aloha is an inviting 4-star hotel which is situated in the Montemar area of the Costa del Sol. 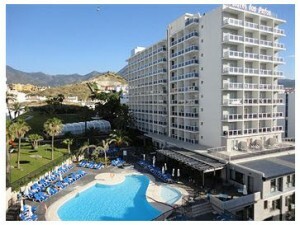 The hotel is 1.5 miles from Torremolinos and about 7 miles from Malaga Airport which is a 20 minute drive. 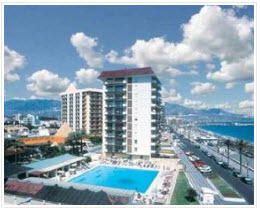 The hotel has an enticing view of the beach, seafront and mountains. It is close to local amenities, such as shops, bars and restaurants and is only 300 metres from the scenic Puerto Marina. This 4-star hotel is a great location for families, couples and golfers who desire a relaxing holiday in the sun. There are 370 guestrooms which all provide air conditioning, satellite TV, a telephone and refrigerator. All of the guestrooms have terraces overlooking the captivating view. The hotel has a buffet restaurant; with show cooking and an Italian section, as well as a lounge bar, a pool bar and a snack bar where guests can enjoy a quick bite to eat or a nice cold beverage. The surrounding area and Torremolinos offers visitors a good choice of restaurants, bars and shops with plenty of different activities to enjoy, such as golf and Lasso Therapy facilities. There are two outdoor swimming pools, one of which is heated in winter. There is a restaurant serving buffet style meals as well as a snack bar, a pool bar and a lounge bar. The restaurant has show cooking and an Italian corner. Hotel Sol Don Pablo is located on the serene and calm El Bajondillo Beach on the edge of Torremolinos, in the Costa del Sol. The 4-star hotel is equipped with four swimming pools, sun terraces, sub-tropical gardens, a Jacuzzi and a play ground. Catering for people of all ages this hotel is ideal for families, boasting a full schedule of entertainment for guests to enjoy. Each of the 443 rooms come equipped with air conditioning, satellite TV and Wi-Fi internet. The restaurant offers a buffet style selection of delectable food and show cooking. There are also theme nights to entertain all guests and two bars. 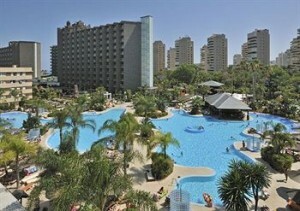 Torremolinos is a relaxing and comfortable holiday resort. The area is particularly popular for families because of the aqua park and amusement park which are only a short drive away. Malaga city is also less than 30 minutes away and brilliant for a day visit, if you fancy going shopping or viewing some of the old city’s sites. There are four swimming pool. There is a restaurant where buffet breakfast is served as well as a bar. Hotel Sol Don Pedro is an enchanting 4-star hotel in Torremolinos and offers all the amenities that a quiet relaxing holiday in the sun needs. The hotel’s decor is Andalucian inspired and a beautiful retreat for families and couples. It is self-sufficient with its own set of shops, bars and a restaurant. It is right next to the Bajondillo beach and only 1 mile from the centre of Torremolinos. 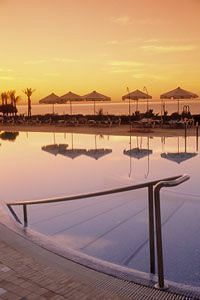 Hotel Sol Don Pedro boasts 4 swimming pools for all ages.This hotel provides a buffet restaurant and a bar. Twin and double bedrooms have two to three beds. All rooms are fully equipped with a kitchenette, air conditioning, a bathroom with shower, satellite TV, telephone and a terrace or balcony. (Please be aware that some amenities may be payable locally). Built in 2002, this hotel offers a total of 163 double rooms spread over 6 floors as well as 9 suites. A spacious garden surrounds the hotel. Amongst the hotel’s facilities count a foyer with a 24-hour reception desk, lifts, a currency exchange desk, a cloakroom, and safe. There is a bar, a TV room and an air-conditioned e la carte restaurant with a separate non-smoking area. Entirely pedestrian tourist complex, located in front of a magnificent beach. Built in the characteristic style of an Andalusian village, with its narrow streets, gardens, plaza, chapel, and whitewashed houses with bright colours where geraniums grow. Relax in cottage-style rooms, comfortable, independent and fully equipped for your relaxation. 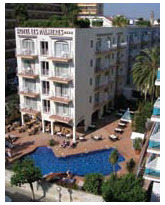 NH Alanda is between Marbella and Puerto Banus approx 20 min walk to either and only 300 metres from Milla de Oro Beach. Surrounded by large gardens it has an outdoor pool, free parking, and a spa. There are three blocks, two of which overlook the swimming pool. Rooms are bright and modern with elegant wooden floors. All air-conditioned Alanda rooms have satellite TV, private balcony, minibar, and a choice of pillows. The BlueBay Banús 4**** Hotel (previously Hotel Rincón Andaluz) is located in the exclusive area of Puerto Banus, only a few meters from the beach and 7 kilometres from the centre of Marbella . The Hotel extends over more than 28.000 sq.m of mature subtropical gardens, swimming pools and ponds which make the Hotel an Oasis in the heart of the Mediterranean Sea . Its particular location and open spaces make it the ideal option for family holidays or simply to enjoy the beaches as well as the excellent climate of the Costa del Sol. Because of it’s proximity to Puerto Banus, there is an excellent gastronomic variety and a wide choice of entertainment. Situated in the Heart of the Costa del Golf, it has access to more than 30 golf courses in a maximum radius of 30 minutes.. The Hotel is built in the style of a typical Andalusian town, with its narrow stone paved lanes, patios, squares and even a small chapel. Its buildings of no more than two floors house the 315 rooms of the Hotel. The complex is situated about 180 meters uphill from the beach. There you can choose a variety of bars and shops. It is 50 metres away from the Torrequebrada Casino and 1 kilometre ot the Torrequebrada golf coruse. Next to the complex is a large supermarket and a local bus stop. Los Patos is located in the residential area of Benalmadena Costa, just 250 mts from the beach and 8 Km from the International Airport of Malaga, surrounded by gardens, the Hotel Los Patos is a perfect site to have a relaxed holiday,and yet is only approx 1 km away from Puerto Marina well known for its night life. The Hotel has 2 adult swimming- pool, one heated during the winter season. 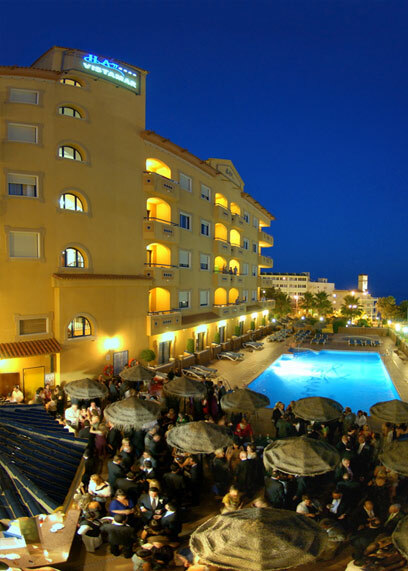 The Alay Hotel is conveniently located in Benalmadena Costa and overlooks the beautiful Benalmadena Marina which is home to some spectacular yachts, excellent bars and top class restaurants. The hotel is only a stones throw from the beach where you can soak up the Mediterranean sunshine or go for a dip in the sea. The Alay offers its guests 246 spacious rooms, 24 hour reception desk, conference and banqueting services, Wi-Fi access, private car parking, buffet style breakfast and dinner, full service bar, tennis court and swimming pool. have twin bedroom, which is accessed from the living/dining room through sliding doors. There is also a double sofa bed in the living room. Each apartment has a kitchenette with 2 ring cooker, oven, fridge, microwave oven, kettle, toaster and cooking utensils. There is a terrace or balcony with table & chairs, and a bathroom with bath/shower and hairdryer. Apartments have individually controlled air conditioning/heating and all have satellite tv and direct dial telephone. Safe deposit boxes are available in all apartments and are payable locally. This is ideal location for Long Stay guests. Contact Roscrea Travel for Offers. The Hotel Las Palmeras is situated in the centre of Fuengirola overlooking the harbour and the beach which is 200 metres away. 5 minutes frm bus and railway. Great sport facilities in the area, golf, tennis, aquatic sports, horse riding. Weekly market for local crafts and bargains. Nightlife centred around the harbour area. This was a late addition to last years programme and proved very popular. Just 50 metres from the beach, this is the ideal place for a truly relaxing holiday. Thanks to the extraordinary climate, the wide range of excellent services and facilities can be enjoyed year-round. 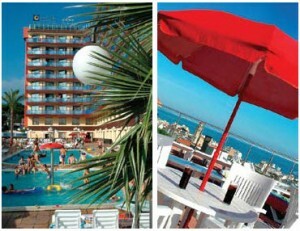 The Sol Don Pedro Hotel is located in the tourist area in Torremolinos, on the seaside promenade of El Bajondillo Beach. The guestrooms are clean and well equipped. The El Cortijo restaurant serves a superb hot and cold breakfast, lunch and dinner with show cooking. Guests can relax in the vast garden or take a dip in one of the pools Room facilities Satellite / Cable TV, En Suite Bathroom, Hairdryer, Air Conditioning (room), Safe (room), Mini Bar (room). Sol Don Pablo Hotel is located in a distinguished and peaceful tourist area of Torremolinos, on the promenade of El Bajondillo Beach. It forms part of the Don Hotel complex along with Sol Don Pedro. 800 m from the city centre, 5 km. 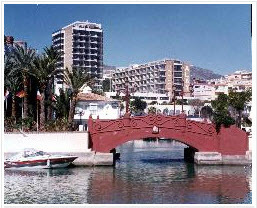 from Puerto Marina in Benalmadena, 7 km. from the airport and 51 km. from Puerto Banus in Marbella. 443 Rooms, Non-smoking rooms, Bathroom with hair-dryer and magnifying mirror. The rooms on the first 3 floors of the hotel provide a walk-in shower rather than a bathtub Air-conditioning, Satellite TV, WiFi internet conection (throughout the hotel), Mini-bar, Safe , Room service from 7:30am – 10:30pm. 9 swimming pools (adults and children ) surrounded with gardens, one of them covered and thermostat controlled in winter, with free hammock and sun umbrella service; towel rentals. Delfinus Spa with therapy centre and beauty clinic with extra charge, Massage and physiotherapy with extra charge. 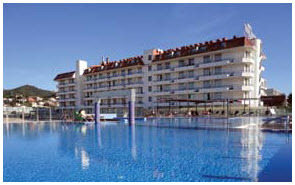 The Hotel Luca Costa Lago located in the pleasant town of Torremolinos, just 150m away from a long beach a fine sand. This hotel offers comfortable rooms (all with satellite TV), a wide variety of sporting activities and restaurant and outdoor pool, as well as a privileged situation, only a few steps away from a lively seaside promenade and just 2km from the city centre of Torremolinos. The Amaragua Hotel is a Superior 4 star Hotel, ideally situated by the Mediterranean, with the Paseo Marítimo Peatonal de la Carihuela, (Carihuelas pedestrian seafront) promenades as the thin strip which separates it from the seas swishing waves, at the quiet residential area of Montemar and within walking distance from world famous leisure port La marina de Benalmadena. The Best Western Hotel Les Palmeres is located just 100m from the beach and a few minutes from the town with its many restaurants and bars. The magnificent facilities and attentive service will cater for your every need. Guest rooms are equipped with bathroom, hair dryer, terrace/ balcony, air conditioning/heating, satellite tv, telephone, free wifi, minibar (optional) and safe (payable). Tea/coffee maker and iron/ironing board available on request. Mediterranean restaurant with buffet service and show cooking, indoor bar and outdoor snack bar. Swimming pool, garden, indoor pool with jacuzzi, sauna and solarium. Barcelona (50km) and Girona (45km). 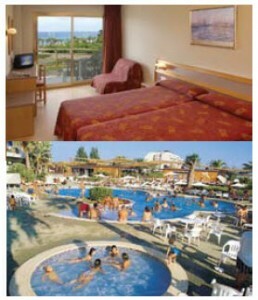 Supplement applies 15/09-12/10/11 & 01/-22/06/12: 7nts €25, 14nts €70. 01-08 Apr €45. The Calella Palace is situated in a residential area of Calella just 300m from the beach and 350m from the restaurants and other nightlife in Calella. Guest rooms are equipped with bathroom, hair dryer, terrace/balcony, air conditioning, satellite tv and telephone. Buffet restaurant serving local and international dishes, bar and poolside snack bar. Indoor and outdoor swimming pools with free umbrellas and sunchairs, jacuzzi and rooftop sun terrace. 24-hour reception, internet access (payable) and lifts. 100m to bus stop. Free shuttle bus to Lloret de Mar 3 times per day. This attractive hotel is situated close to Santa Susanna’s beach (150m) and within walking distance of countless bars, restaurants, shops and supermarkets. The hotel is also well situated for access to the train station (1km) and the town centre is just 1.5 km away. Comfortable rooms are equipped with bathroom, balcony/terrace, telephone, satellite/ cable tv, air conditioning/heating and safe (payable). 24-hour reception, currency exchange, internet access and lifts. Restaurant with buffet service, café and bar. 227 rooms on 6 floors. 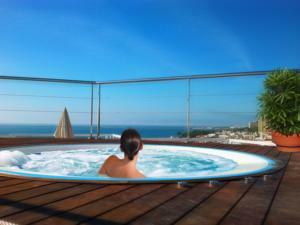 Swimming pool (closed 15/10/11 – 31/03/12) with snack bar, jacuzzi, sauna and solarium (some service payable). 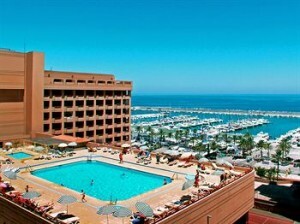 -Supplement applies 15/09-12/10/11 & 01/-22/06/12: 7nts €25, 14nts €70. 01-08 Apr €45. Located on the seafront in Santa Susana, the Mercury is at the centre of everything, close to shops, restaurants and bars. The hotel is also very convenient for train and bus services along the coast. Comfortable rooms are equipped with bathroom, balcony/terrace, telephone, satellite tv, air conditioning/heating and safe. 2 swimming pools (closed 15/10/11 -31/03/12) and a gym. Kids’ zone with entertainment programme and games area. 24-hour reception, currency exchange, internet access, wi-fi access and lifts.